The White Isle equivalent to the Oscars nears, as we recognise the DJs that helped shape Ibiza 2018. It's hard to fathom that there is a mere six weeks of the season left. It's therefore perhaps timely, that the DJ Awards is a couple of weeks away. It's certainly been an eventful season on Ibiza - and what better way to reflect than the prestigious awards show. Since June, fans and those within the industry have been voting for their favourite nominees in an array of categories. With the polls having closed a month ago, the winners will be unveiled at HEART on Tuesday 11 September during a glittering ceremony. New for this year, the list of genres has been updated to include progressive house and melodic house & techno. Meanwhile, the techno, house, tech house and trance categories each have an award for both artist and master. 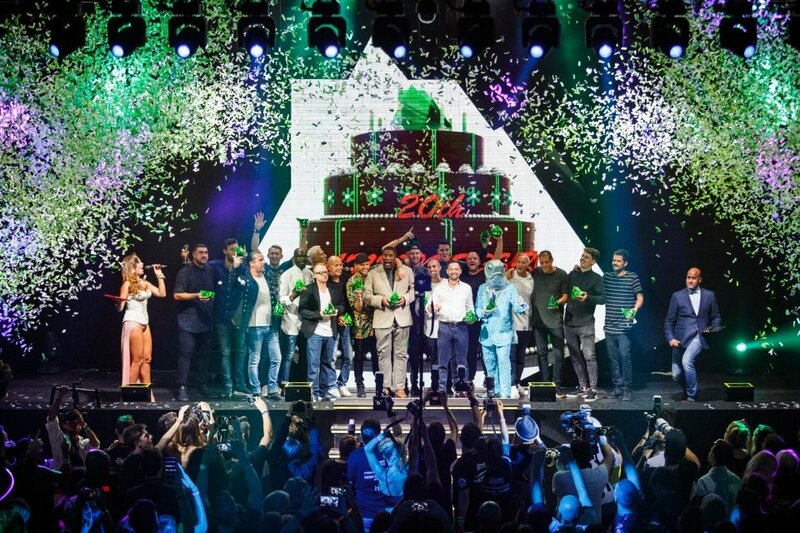 With anticipation building towards the big event, Ibiza Spotlight managed to tie-down the organisers to ask them questions about the DJ Awards. What spurred the switch to HEART this year? "We wanted to find a venue that felt intimate and close to our audience. With so many great venues on the island, our sights were really set on HEART. It has an Ibizan vibe that feels organic and we instantly felt at home. It has great industry connections and our audiences are in sync. We're very excited to celebrate our 21st edition there." How long does the DJ Awards take to set-up? "We begin to start preparations for the following year's edition, a week after the ceremony. The compilation of the nominees begin just before spring and takes approximately two to three months to get to the final list." No such thing as an off-season for the DJ Awards. Serious troopers. Who would you give your personal favourite DJ award to in 2018 and why? "None of us have just one favourite! We have to say that all of the 161 nominees and the 250 other DJs we researched are favourites for different reasons." Diplomatically impartial, fair and professional as ever - no favouritism to be found here. Which fans of which genre do you think are the most passionate? "From the results of the voters who showed their support this year, we had an overwhelming response for every category. However, the two that really stood out weren't genre related. Newcomer and Breakthrough broke all records from previous years." Were there any additional categories that almost made the cut, but not quite? "Afro house was debated with our panel, but we felt it was too soon to be able to nominate enough DJs." We can think of one deserving winner! The proverbial one-horse race. Can you recall any exciting moments from past DJ Awards ceremonies? "We presented one award which was both funny and emotional at the same time! The awards was going to the Founder of the DJ Awards, Jose Pascual. Funny because for months we had to pretend that this award was going to a make-believe Japanese pioneer designer of DJ equipment. Everytime Jose asked for the name we kept making up different ones - and he never clocked. At the ceremony, still unaware when the presenter read out his name, Jose's expression was priceless. We were all very emotional." What do you see being the next big trend in electronic music? "With the current music genres splintering in multiple directions, it's hard to pin down the next 'new' genre. Trends come in swings and roundabouts. We're now experiencing 'the sound of Burning Man,' which is actually not new at all. It has evolved over the years under many guises. As we already mentioned, afro house is gaining momentum. Or maybe ghetto electric!" What has been the one big change you've noticed in Ibiza this year? We shall see you at HEART to see which deserving recipients take home the gongs in 2018. Though we have our own favourites, the awards are always a great barometer to measure the current popularity of artists and genres in Ibiza and beyond. Not to mention, it's great fun. Tickets purchased for Heart Factory on Tuesday 11 September, include admission to the awards shows earlier in the evening.